Pennsylvania is one of the most recent American states to legalize online gambling. This puts them ahead of NY online casinos. 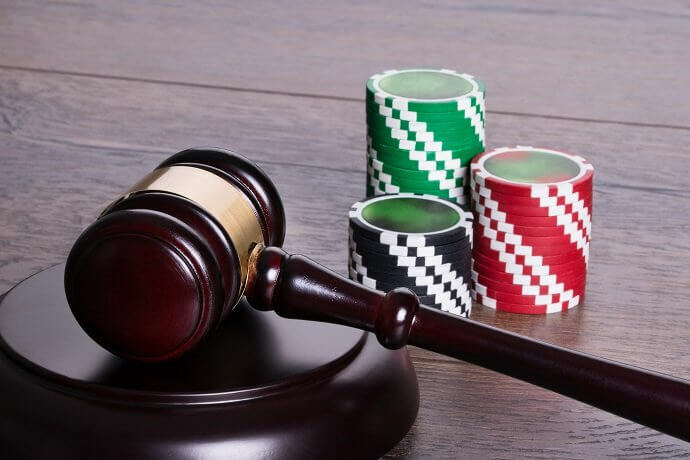 Armed with a new gambling authority board, PA online casinos have started throwing their hat in the ring to claim the highly coveted PA gambling licenses on offer. Many online operators have already applied for licenses and it is expected to see PA online casinos officially launching in June or July 2019. There are currently 12 interactive gaming licenses available, all split into 3 sub-licenses. These 3 sub-licenses that PA casinos can apply for are: Online Slots License, Online Table Games License, and Peer to Peer Game License (eg. online poker). Here are all the current brick and mortar PA casinos along with a description, the status of their application and the type of license. According to the new online gambling regulations, the state of Pennsylvania will offer the same amount of online operating licenses as the amount of brick and mortar casinos that exist in PA. This means that 12 Pennsylvania online casinos will earn the exclusive opportunity to take on the PA gambling market. The 12 licenses up for grabs were first offered to the existing PA brick and mortar casinos, if they didn’t apply within a certain time period or were refused, the leftover spots are then available for other American casinos to apply. As you can see from the above table, 10 PA casinos were approved for their licenses, leaving 2 license slots open. These were then available for nearby American casinos to apply for. Both of the applicants that applied were temporarily approved and that means that if all goes well, all the available licenses will have been assigned. Online gambling PA isn’t the only form of gambling that is being allowed to flourish, sports betting has also recently become legal. There are currently already 6 sportsbook operators who have opened their doors across the state. These are all brick and mortar, but online apps for these sports betting locations are expected to be opening soon – hopefully by the summer of 2019! Other online gambling has also been given the go-ahead for launch, including online lottery, instant win games like Keno, fantasy sports betting, and even satellite casinos (live Pennsylvania online casinos). Since these new gambling law changes, PA has managed to generate over $400 million in revenue. This number is expected to fly past the half a billion mark once online casinos PA and online sports betting are launched. It has also been hinted by economic gurus that they expect PA to join up with (already teamed up) New Jersey, Nevada, and Delaware. This means that players in all these gambling regions will be able to play in the other regions too. While there are no Pennsylvania online casinos launched and ready to review just yet. We have already started making some judgments based on their brick and mortar counterparts. We expect big things from the PA giants, Hollywood Casino, Rivers Casino and Harrah’s Philadelphia, but we wouldn’t count the smaller casinos out yet. Online gambling PA will be a much easier way for them to expand and grow than the costs associated with growing a brick and mortar casino. Since they are currently the underdogs, we expect that once they go live, they will be looking to prove themselves! The two out of state American casinos will also be looking to make a splash in order to cement themselves within the PA market, so we are expecting some amazing Welcome Offers and promotions on the way. As soon as new Pennsylvania online casinos are officially launched, our expert review team will be ready to compare them to their brick and mortar counterparts, as well as against each other. We will, of course, also be on hand to compare all the bonus codes and Welcome Offers available, along with customer service, game variety, and even payment methods. Rest assured that any online casinos in PA that are linked to by our website will be 100% licensed and vetted by the Pennsylvania Gaming/Gambling Control Board (PGCB). All of these casinos will be legal and we will make sure to test all of the important factors like game variety, casino track records, service reliability, and security level, before making any recommendations. You should never have to worry about the legality or security of a bet when you place one, so that is why we are here to test and vet everything for you. If you follow our PA online casino reviews, you can always be carefree knowing that your money (and you) are safe and instead focus on having a good time! Once all of the PA casino sites go live, you will have a lot of places to choose from. We will do the in-depth work of checking licenses and PGCB approval, and you can focus on choosing the bonus codes that suit your gameplay best! Our website will provide you with all the promo codes you will need in order to kickstart your new online gambling PA journey. It might be a bit difficult to pick between so many offers, so we won’t only compare the offers, but also the portfolio of table games, slots, and other features to give you all the info you need to make the best choice for you. Most online casinos, especially newly launched ones, offer welcome bonuses to their customers – PA online casinos will be no different. These bonuses will come in the form of promotions, deposit matches, cash bonuses, special prizes, and free spins. The type of bonus available will depend on the casino. The offers will also change from time to time, so you should frequently check our PA casino bonus codes to stay up to date. Remember, all bonus offers will only be open to players over the age of 21 (the legal gambling age) and that are physically present in Pennsylvania. Bonus codes are incredibly easy to use once you get the hang of it. You usually have to enter them either when signing up for a new account or when making a deposit – it will depend on the offer and the operator. Make sure that you always copy the bonus code exactly as you find it on our site – capital letters included – or else it will not be valid. The easiest way to do this is to copy and paste the promo code instead of retyping it. Is There A Catch To Getting A Bonus? All bonuses come with pros and cons. You should be able to pick these up by reading the terms and conditions for the promo code that you plan on using. Some of the things that might impact your decision when choosing a bonus code should include wagering requirements, expiry dates and qualification criteria. Wagering requirements are the amount of times you will have to use the bonus amount before being able to withdraw any winnings made off of it. This is also sometimes called the playthrough requirement. When reading the terms and conditions, look out for any misleading language. Some deals are exactly as they are promoted whereas others are slightly different and sound better than they actually are. Also, if you find any qualifying criteria in the T&C’s, make sure that you complete them within the specified timeframe. Most online casinos these days are very geared up with support. Since all of the Pennsylvania online casinos will be brand new, they all should definitely adopt the industry standard of having 24/7 support available. They will also all surely be set up with all the usual means of communication – live chat, telephone line and email. You usually won’t need to use these features too much as getting started on an online casino is pretty straight forward, but it is nice to know that help is available should you have any questions or issues. They will likely adopt the mainstream payment methods such as Visa, Mastercard, PayPal, Neteller, Skrill, EFTs and prepaid cards. They will likely also add further niche payment methods in the future. It also seems like PA online casinos will copy NJ online casinos by offering in-person deposit options at the casino’s brick and mortar counterpart. All PA online casinos will at the very least have a mobile optimised version of their site. Some of them will also opt for an app version of their casino that will be made available on the Apple App Store for iOS users, or the Play Store for Android users. Mobile online casinos are great for playing on the go and usually provide all the same fun features as their website version. Is It Now Legal To Play On Online Casinos In PA? Yes, it is now legal to gamble online in Pennsylvania. However, most online casinos have not yet been launched. Only play at PA casinos that are verified and licensed by the PGCB. You also have to be physically in the state of Pennsylvania to be able to play on PA online casinos, as well as be over the age of 21. This includes PA mobile casino apps! 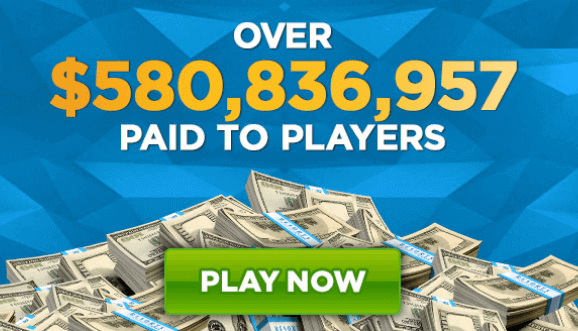 How Do I Sign Up For An Online Casino Account? Signing up is the easy part! All you have to do is fill out a quick form with your details and the registration process is complete. Sometimes you may also need to confirm your email address or cellphone number after sign up to prove you are a real person. The signing up stage is also usually where you enter your Welcome Offer bonus code, so do not forget to look out for this important step. We cover these bonus codes and how to use them in depth on our website. Do I Need To Download Anything To Play? This was more common with older online casinos, more modern ones usually do not require a download. That being said, some online casinos will still have a download option, that isn’t required, but is usually there to benefit your gameplay (i.e. loading time) or experience (i.e. game variety). 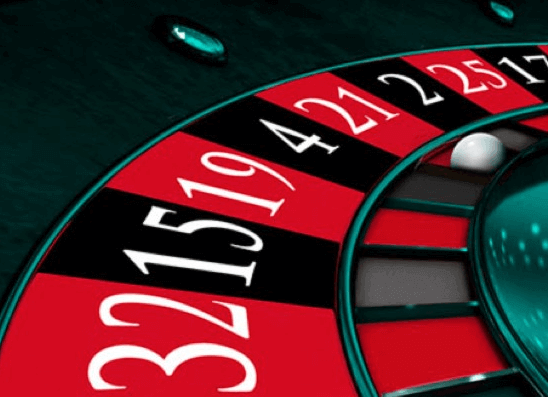 It is always good to consider this when choosing whether to download a casino add on or not.